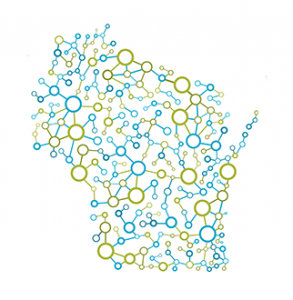 A hotbed of innovation in the life sciences sector, the Madison Region claims an array of groundbreaking discoveries in biosciences and biotechnology. From the discovery of vitamins in the early 1900s to the first human embryonic stem cells grown in a laboratory, the Madison Region is an established leader in outstanding biotech research and development. Our life sciences sector is driven largely by UW-Madison, which ranks in the top five nationwide for federal research funds with over $1 billion in expenditures, more than half of which is spent directly in life sciences. From our base in R&D stems a deep concentration of major life science firms—both mature and startup—that have chosen to build headquarters in the Madison Region. Support institutions such as BioForward pair with resources for incubation, clinical trials, and scientific testing to help biotech discoveries move from the lab to the marketplace. Learn more. Wisconsin is building on its legacy of ingenuity to pioneer a new industry: integrated health solutions. Biotech and biopharma are teaming up with digital health to change the world of healthcare. View this video produced by BioForward to learn more. Specializing in contract manufacture of pharmaceutical intermediates, medical devices, and specialty food ingredients. This places Madison among the top 9 U.S. metro areas on this measure.